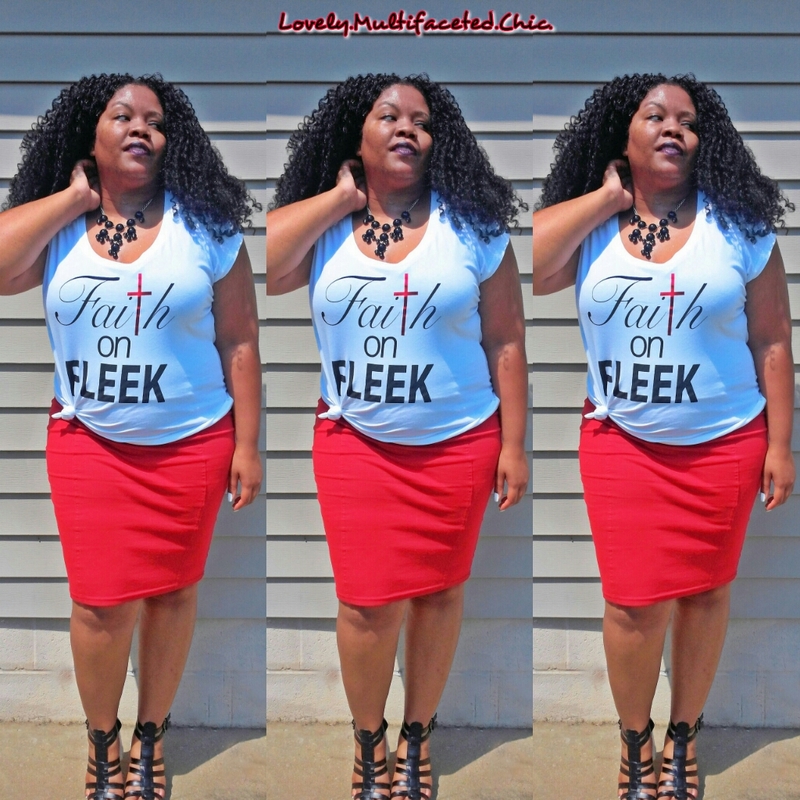 Faith on Fleek – Lovely.Multifaceted.Chic. I hope your week is going well. So, I am back with another post. Here’s my outfit from Sunday. 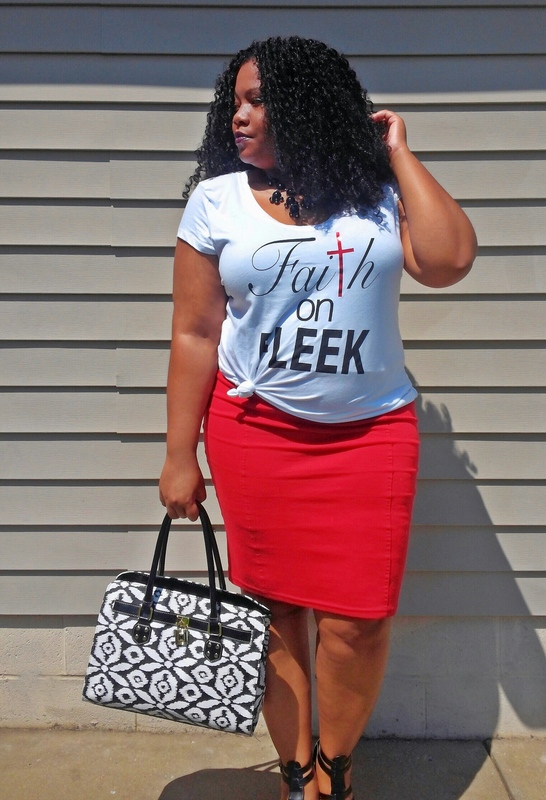 I really enjoy playing around with my church fashion. Sometimes I like to get dressed up and sometimes I like to go casual chic. No matter how I dress for church, the most important thing that matters to me is that God loves me no matter how I dress. I’m a fan of graphics tees and I thought that this shirt would be a fun garment to add to my collection. My color scheme was red, black, and white. The tee is from CitiTrends and it was $6.99. My blazer and skirt are from Rainbows. My handbag and necklace are from Wal-Mart. My shoes are from JustFab.com. By the way, I styled my hair in a crochet protective style to give my hair some time to rest. I am interested in knowing how you have fun with your faith inspired fashions whether you’re Christian, Muslim, Hindu, or any other faith/spiritual identification. I hope you enjoyed reading this post. If so, leave your comments.